Банк Венгрии ввел в обращение с 1 марта 2018 года обновленную банкноту в 1000 форинтов. на банкноте усилены защитные элементы. Банкноты 1000 форинтов прежних лет будут оставатся в обращении до 1 марта 2018 года, обмен в банках будет до 1 ноября 2038 года. The Magyar Nemzeti Bank will continue its programme of upgrading Hungarian forint banknotes put in place in 2014. As part of the programme, the Bank will issue into circulation an upgraded 1000 forint note with new design elements and incorporating new security features. Following past practice, the issue will take place in two steps. First, the new 1000 forint banknotes will become national legal tender from 24 August 2017. 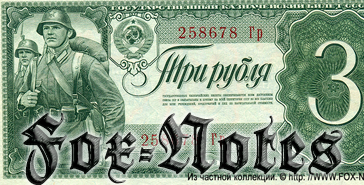 Second, building on the success of previous issuances, the Bank will allow a six-month preparatory period and provide technological assistance for participants of the currency supply chain, in particular for operators of banknote-accepting and processing machines, to get ready for the introduction of the new banknotes. The upgraded 1000 forint notes are expected to enter circulation from 1 March 2018. The current 1000 forint banknotes will be accepted in payment in retail outlets until 31 October 2018. After that date, the notes will no longer have legal tender status and the Bank will withdraw them from circulation. Consequently, only the new, upgraded 1000 forint notes will be accepted for payment from 1 November 2018. Importantly, the old banknotes will keep their value for many years after their withdrawal from circulation. Credit institutions and the post office will exchange them for legal tender of the same denomination for three years, and the MNB for 20 years, i.e. until 31 October 2038, after the withdrawal deadline. Furthermore, the Bank will withdraw the old 20000 forint notes this year, on 31 December 2017. The replacement of this denomination is at an advanced stage: the new banknotes, issued in 2015, already account for 95% of 20000 forint notes in circulation. The old 10000 forint notes will continue to be accepted for payment without limitation. The Bank will decide on their withdrawal at a later date. Detailed, up-to-date information on the changes affecting forint banknotes is available on the Banknotes and Coins page of the MNB’s website at https://www.mnb.hu/en/banknotes-and-coins. Budapest, 28 February 2018 - We may see the upgraded 1000-forint banknote denominations in cash payments from 1 March 2018. In addition to their renewed appearance, the banknotes have been brought up-to-date with regards their security features. The upgraded 1000-forint banknote denominations will enter cash circulation gradually from 1 March 2018, their presence is expected to be widespread a few months later. Old 1000-forint banknotes, that are currently in circulation and were issued before 2017, can be used for payments until 31 October 2018. Subsequently the MNB will withdraw them; thus, only the upgraded 1000-forint banknotes may be used from 1 November 2018. It should be noted that the old 1000-forint banknotes, which will have not been exchanged, will not lose their value after the date of withdrawal. After the date of withdrawal, the old banknotes may be exchanged to legal tender of the same denomination, free of charge in every bank and post office for 3 years, and at the MNB’s retail cash office for 20 years, i.e. until 31 October 2038. For further, up-to-date details on the changes affecting forint banknotes, please, visit the page entitled Banknotes and Coins on the MNB’s website (https://www.mnb.hu/bankjegy-es-erme).